We often wonder if there REALLY is such a thing as a “get rich magic formula”? If there is one, could it be that it’s held in such secrecy, that only the investing elite – like Hedge Fund gurus – know about it? Notice we did not say “get rich quick magic formula” – because those are available aplenty, either from sponsored shopping channels or at pet stores near you selling extracts from exotic reptiles (snakes and snake oil come to mind!)! Before we look at whether such a formula really does exist, let’s look at some elements of what a “formula” might entail. It’s not always that investing Gurus use complex math to describe their “formulas”. For instance, Guru Warren Buffett’s “Wide moat” could easily be one element in a magic formula that REALLY works. But the term “wide” is often subjective/relative, and can’t easily be “formularized” (i.e. put into a formula variable). Famed investment Guru John Templeton (of Templeton Funds) had his own secret sauce for investing wisely: “…buy when others are despondently selling and to sell when others are avidly buying …”. 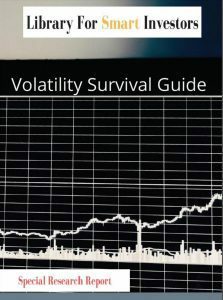 In this case though, trading volumes could easily be used as an element in the Magic Formula to determine when and what to buy, and when to sell. And then there’s bottom-up legend, Guru Peter Lynch, who had an elaborate set of criteria for buying and selling stocks. Outlined in his bestselling book on investing, One Up on Wall Street, Guru Lynch laid out a recipe that included one ingredient (amongst a host of others) – earnings growth rates – that could easily be factored into a Magic Formula: 10% to 12% for Stalwarts, and between 20% and 25% for Fast-growers. So, despite the fact that it may seem highly unlikely that fortunes (like those built by Buffett, Templeton, Lynch and others) can be built around “magic formulas”, the truth about secret sauces seems to be a fact of life for these Gurus. So, lets take a closer look at some Lynch Magic, and explore whether ordinary investors can really learn (and benefit) from the Lynch Formula. Clearly, all of these elements are very quantitative in nature, and can be accessed from any (FREE) online resource. One can easily pull the data and include them into a spreadsheet to create their own personalized Magic Formula based on the Lynch Approach. On paper, Magic Formulas are great – but does the Lynch Approach really work? Well, all you need to do is take a look at what Guru Lynch accomplished from 1977 to 1990, when he was at the helm at Fidelity Investment’s Magellan Fund. He earned an average annual return of 26.4% for his clients – double the 13.3% returned by the S&P 500 for that same period! And Lynch used the basic elements of the Lynch Approach to produce those results. Want more proof that it was Guru Lynch’s Magic Formula that produced those returns? Since the Guru’s departure from Fidelity (from 1990 to 2010), four other fund managers who took over Magellan Fund couldn’t come close to the 26.4% delivered by the Lynch Magic Formula. The fund only averaged 7.8% annually. The Lynch Formula definitely works! So, what would a portfolio based on the Lynch Magic Formula look like? The nine names listed in the hypothetical portfolio above, all meet various criteria laid out by Peter Lynch. For instance, one aspect of his formula, that sometimes “boring” names make good investments, perfectly explains why a name like AAP might meet the Lynch criteria. An average of 32% plus price appreciation is not a bad return using Guru Lynch’s Magic Formula. And if you factor dividends into the equation, your total returns will likely be much higher. Of course, even with a Magic Formula on your side, you shouldn’t expect to hit home runs every time. But sticking to the Lynch Approach could result in double-digit gains – like the nine names listed above. 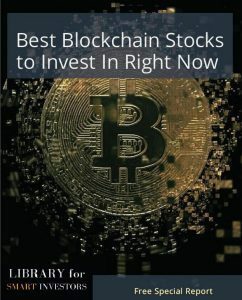 Get this recently published report 4 Best Blockchain Stock To Invest In Right Now or Volatility Must Buy Stocks report absolutely free.